If you love The Brony Show, this is your hangout! Come follow us and get updates on the latest with the show, including show times and surprise Let's Plays! Hello everypony. We feel the need to game, and what better way than to play a bunch of little flash games quickly. Join us as we goof around and game like wild maniacs. Be sure to join us at https://thebronyshow.net/ at 6PM PST/ 9PM EST live this and every Monday. You can also join us an hour early for the Brony show preshow and get your brony show starting early. Also be sure to stay after for Crimson's oatmeal galore afterparty. If you want to be part of the show, let us know! Email Circuit at bronyshow@gmail.com and ask for a spot. They fill up fast so be sure to reach us quickly. Also be sure to tune in to our affiliate Ponyville live for the show and more fun things after the show at www.ponyvillelive.com"
Hello everypony. Ponies in the water?! Yes it has happened in all it's artistic wonder. Join us as we talk abou this book from Mary Jane Begin and all the wonders of Aquastria. Hello everypony. What happens when Pinkie tries to write a story? Only an insane comic like this can tell the tale. Join us as we watch the decent into madness for a children's book. Hello everypony. EQD has started their artist training ground again, so here we come once again to give you tips and advise as well as drawing a little bit for your entertainment. Join us. !thebronyshow "The Brony Show 218 - Season 6 Premiere! Hello everypony. It's here! New pony! And we're going to talk all about it! Join us as we talk about the season 6 premiere and even let others in our livestream audience come on and give their 2 bits. Hello everypony. Next week is the season premiere of Season 6 of MLP. So to celebrate and warm up we're going to enjoy a few of our favorite MLP episodes and comment on them. Be sure to join for all the warm fuzzy shennanigans. Hello everypony. Our month of Let's Playing may be over but we found one too good to pass up. We're going to do a Let's Play of Fallout Equestria. This time we're getting our cohosts Blankedmind and Comet Starshot to give the game a try. Hello everypony. Our final game for the month is an awesome one that came out this week. a mod for Warcraft 2 that ponifies everything! Join as we we trainwreck our way through this! Hello everypony. Our next game for the month is a fun mod that puts our human loving pony Lyra in the role of hero of Cave Story. Come join us as she explores the depths of caves. Hello everypony. Our next game for the month is a special TF2 mod called Pony Heroes. Join us as we jump into this game and be the heroes Equestria needs. !thebronyshow back again in the workPC. Site 3.0 will happen eventually... I hope. Hello everypony. We love our games, and we're going back to an awesome project call the Pony Platform Project to play a few of the games that came out for it. this year. Join us as we deck the halls with so much pony. fun things after the show at www.ponyvillelive.com"
Be sure to join us at www.thebronyshow.net at 6PM PST/ 9PM EST live this and every Monday. You can also join us an hour early for the Brony show preshow and get your brony show starting early. Also be sure to stay after for Crimson's oatmeal galore afterparty. if you want us to email you about events going on with the show, just email tbspluggedin@groupmail.com and ask to be subscribed. If you want to be part of the show, let us know! Email Circuit at bronyshow@gmail.com and ask for a spot. They fill up fast so be sure to reach us quickly. Also be sure to tune in to our affiliate Ponyville live for the show and more fun things after the show at www.ponyvillelive.com"
Hello everypony. The new High Magic set has had it's Pre-release and we're going to tell you all about the cards in this new set. Join us as we reveal the power of Kevin and the many new tricks of the set. Hello everypony. Ever since we've heard about this game we've been watching the progress of Rise of the Clockwork stallions and even interviewed the creators. Now it's time to take the final product for a spin. Join us as we try out this awesome game. Be sure to join us at www.thebronyshow.net at 6PM PST/ 9PM EST live this and every Monday. You can also join us an hour early for the Brony show preshow and get your brony show starting early. Also be sure to stay after for Crimson's oatmeal galore afterparty. if you want us to email you about events going on with the show, just email tbspluggedin@groupmail.com and ask to be subscribed. If you want to be part of the show, let us know! Email Circuit at bronyshow@gmail.com and ask for a spot. They fill up fast so be sure to reach us quickly." Hello everypony. Well we're behind a few episodes of MLP on the show, so what better way to catch up than do a binge watch! Join us as we react to the latest 3 episodes and go all the way from Baby announcements to Batpony thrills. Be sure to join us at www.thebronyshow.net at 6PM PST/ 9PM EST live this and every Monday. You can also join us an hour early for the Brony show preshow and get your brony show starting early. Also be sure to stay after for Crimson's oatmeal galore afterparty. if you want us to email you about events going on with the show, just email tbspluggedin@groupmail.com and ask to be subscribed. If you want to be part of the show, let us know! Email Circuit at bronyshow@gmail.com and ask for a spot. They fill up fast so be sure to reach us quickly. Hello everypony. We just celebrated our 200th episode! So what next? We sit down and play spooky scary 5 night's at Pinkie's. Join us as we welcome some special friends for our fearful fun. Hello everypony. The new Equestria Girls movie has just released and we haven't seen it yet. So we're going to have some fun and the crew of The Brony Show is going to watch this live and give our first reactions to the new movie. Come and watch! Hello everypony. Our host Circuit Mane is going through a lot of changes with his new work schedule, so in order to help him prepare we're taking it easy this week and showing off our favorite and fun brony vids for everyone to enjoy. come in and we'll even take suggestions on what to show. Be sure to join us at www.thebronyshow.net at 6PM PST/ 9PM EST live this and every Monday. You can also join us an hour early for the Brony show preshow and get your brony show starting early. Also be sure to stay after for Crimson's oatmeal galore afterparty. if you want us to email you about events going on with the show, just email tbspluggedin@groupmail.com and ask to be subscribed. If you want to be part of the show, let us know! Email Circuit at bronyshow@gmail.com and ask for a spot. They fill up fast so be sure to reach us quickly. " Hello everypony. Time to put our critiquing hats on once again. This time we're taking a look at a web series being made by Vinson Visions on Youtube. Ever wanted to see ponies in a Sci Fi Drama? Well this person is working on such a project and we're going to look at the first 2 episodes and give our thoughts on what they've done so far. Be sure to tune in and watch the fun. Be sure to join us at www.thebronyshow.net at 6PM PST/ 9PM EST live this and every Monday. You can also join us an hour early for the Brony show preshow and get your brony show starting early. Also be sure to stay after for Crimson's oatmeal galore afterparty. if you want us to email you about events going on with the show, just email tbspluggedin@groupmail.com and ask to be subscribed. If you want to be part of the show, let us know! Email Circuit at bronyshow@gmail.com and ask for a spot. fast so be sure to reach us quickly. 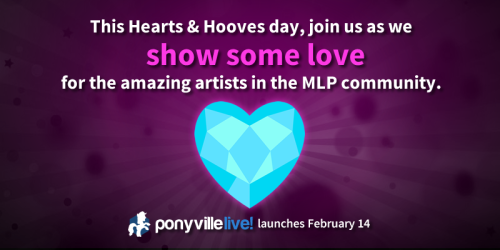 Also be sure to tune in to our affiliate Ponyville live for the show and more fun things after the show at www.ponyvillelive.com"
Hello everypony. You asked for it and it's time to give it. Ponies: The Anthology 5 reactions by The Brony Show team. Join us as we enjoy and react to the next in this awesome fun series of spoofs.